When Marvel’s Falcon blasts into battle, his high-tech suit has all kinds of awesome features that catch his enemies off-guard and let him dominate the fight! With the Marvel’s Falcon Redwing Flyer, kids can imagine gearing up like Falcon with a gauntlet that straps right onto their wrist and steadies their shot, so that they can launch Falcon’s Redwing Flyer right into the action! 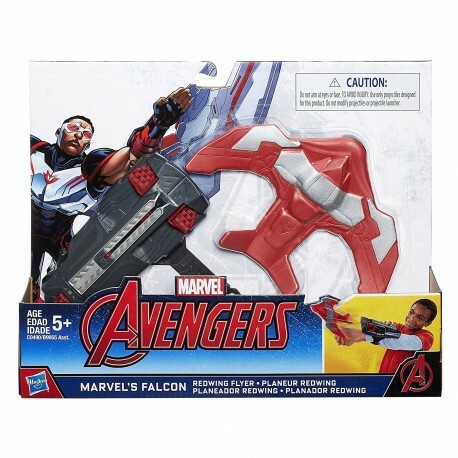 Falcon always has Redwing by his side, and now, with the Marvel’s Falcon Redwing Flyer gauntlet, kids can too! • Includes 1 gauntlet, 1 flyer, and instructions.